LUCEM 'pure concrete' has been developed to match perfectly with the LUCEM Light Transmitting Concrete panels. Due to a similar concrete recipe the LUCEM 'pure concrete' panels the surfaces are matching. Also, made with the simple ingredients such as sand, cement and water in combination with a sophisticated grain contribution, very dense surfaces of the concrete can be realized. The same processing procedures finally lead to the same surface qualities. 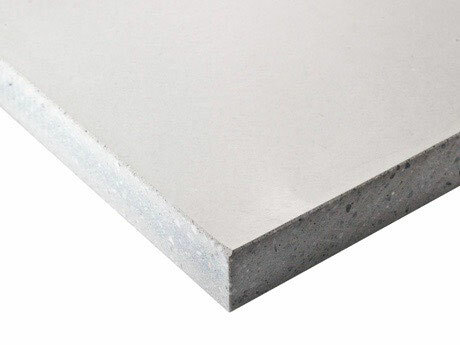 LUCEM 'pure concrete' is provided in most projects as a raw format panels and is cut locally on site. Raw format panels contain a finished surface already with brushed or polished surface and come in formats of up to 240 cm x 120 cm x 4,0 cm. The surfaces of the panels are processed after cutting from the blocks. The surfaces are finally matching to the Light Transmitting Concrete panels. Grinding is made with diamond tools. In different grinding steps the gloss can be adapted from a matt finish to a high gloss finish. Brushing is obviously the most elegant surface for concrete surfaces. The surface is processed with special brushes resulting in a satin-like surface with a very smooth haptical touch. LUCEM 'pure concrete' can be processed similar to natural stone. In case of any question, please consult our team - we will be happy to provide you with any information. LUCEM also provides competent processing of the panels according to your projects requirements. Typical additional services are trimming to size, polishing of sides or the drilling of special holes. LUCEM 'pure concrete' is made with the same concrete mixture as the LUCEM Light Transmitting Concrete and serves as an ideal addition especially in larger projects. LUCEM 'pure concrete' is available in the same colors White and Anthracite.